I always hated running! At school I hated sports day! 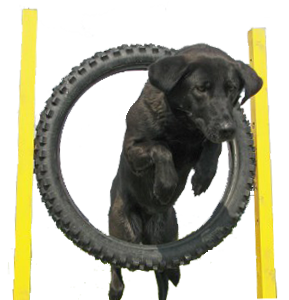 I wouldn’t even run for a bus………..
After being asked to do a personal appearance at an event being run by Canix it was suggested that I might like to try cani-cross. 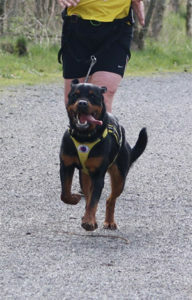 Having watched the owners and dogs having such a fantastic time I could see that my dogs would love it, however was sure that I would hate every minute. That was a long time ago now, and although I am not what you would call a ‘runner’. 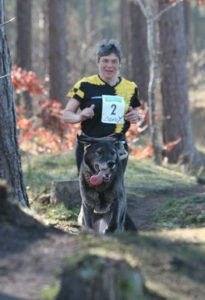 I now regularly run with my dogs socially and at events run by Canix. It is a great way of improving your fitness (of which I had none!). 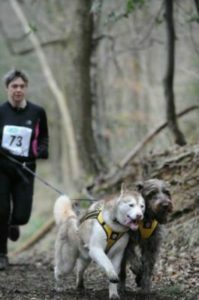 Running along a trail through a forest attached to your dog is a great feeling. The whole atmosphere at meetings is fantastic and as long as your dog is physically able they are welcome to come and enjoy the experience. Regardless of your fitness level, whether, like me, you consider yourself a ‘plodder’ or if you enjoy running already, Cani-cross is great. Why not come along and watch an event or throw yourself in the deep end and join the ‘Have A Go’ section.